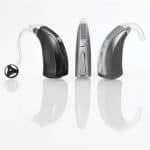 The sound SHD product family combines chic design and brilliant sound, and its versatility of form and function will impress even the most discerning of hearing system wearers across the board. The sound SHD stands for top-quality signal processing, for external receiver systems that ensure excellent, natural sound. The innovative AutoSurround SHD and SpeechBeam SHD functions ensure optimum speech clarity-and sound more natural than ever before. HANSATON’s jamHD product family includes both traditional Behind-the-ear hearing systems and numerous convenient In-the-ear solutions. 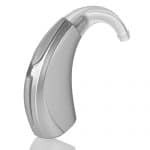 You as a hearing system wearer benefit from a wide range of state-of-the-art technology, packed into the smallest possible space. 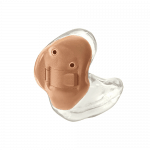 Each jamHD ITE hearing system is practically invisible and tailored to fit the unique shape of your ear, making them our customized response to your individual needs and desires. If you prefer behind-the-ear models, jamHD is a perfect solution. 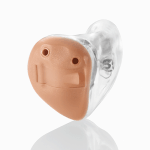 Their discreet, elegant design makes these hearing systems winners in every respect. HANSATON’s beat product family is pure power. Dynamic and powerful, these Behind-the-ear hearing systems provide impressive amplification without sacrificing sound or speech quality. 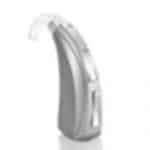 beat is designed to provide optimum support to people with severe hearing loss, and to offer them a natural hearing experience. Easy, straightforward, convenient. Discover for yourself how innovative technology can have powerful effects. The frequency compression function brings forgotten sounds back into your hearing experience and makes it possible for previously inaudible signals to be transposed into the audible range in a particularly pleasant way. Meanwhile, AutoSurround ensures ideal sound and clear speech. These powerhouses are equipped with the finest technology and a wide range of accessories, making them a strong companion in any situation. 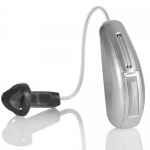 HANSATON’s beat hearing systems are available in two technology classes.